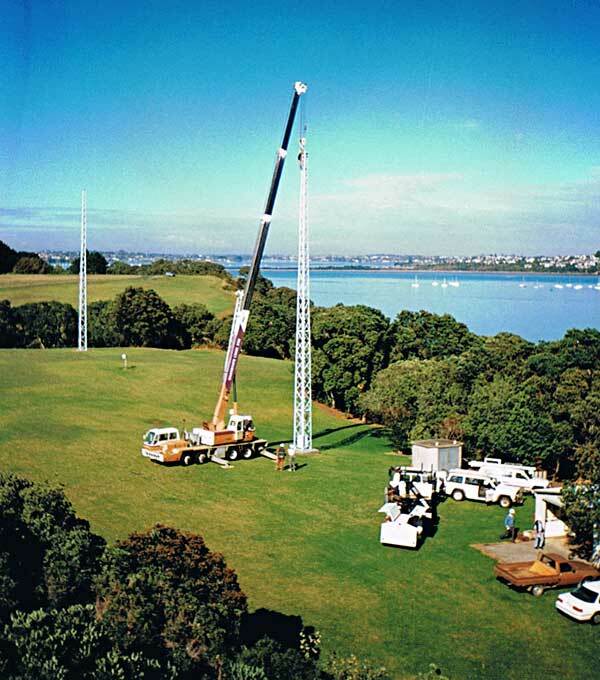 Auckland Radio ZLD closed on 30 September 1993, and shortly afterward the four 100′ antenna towers were removed from the ZLD receiving site, the Musick Memorial Radio Station. 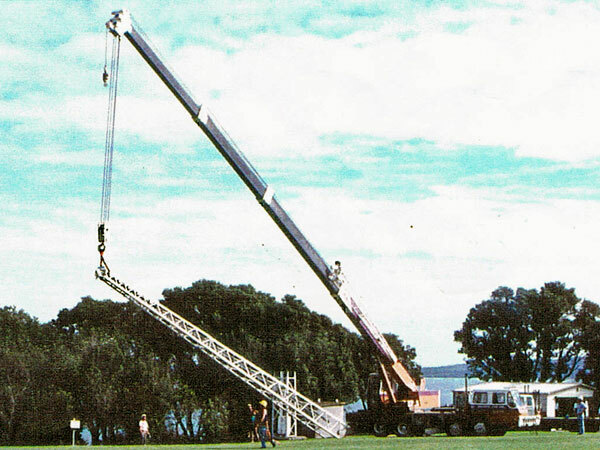 The crane arrives to take down the northwest tower. 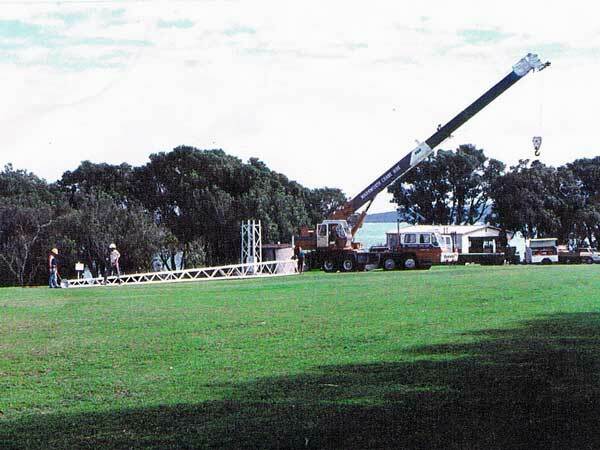 The crane arrives at the northwest tower. 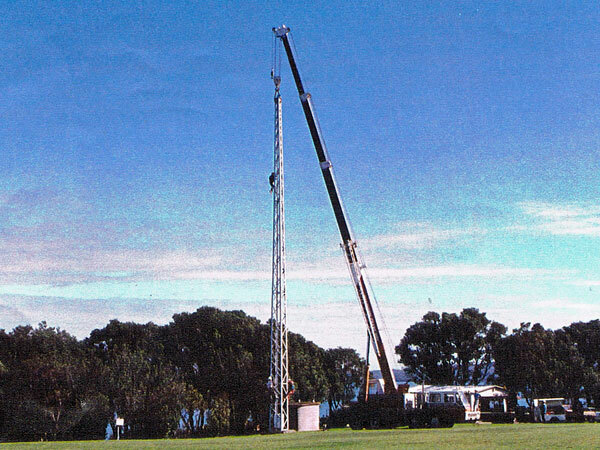 The crane moves into position at the northwest tower. Hooking on to the northwest tower at Musick Point. 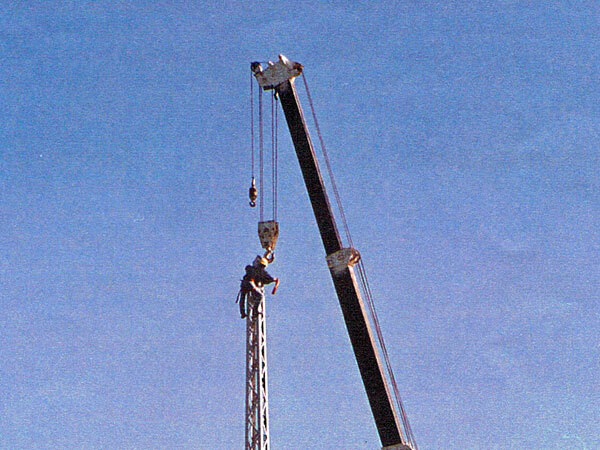 A rigger atop the 100′ northwest tower, attaches the crane’s hook to the tower. 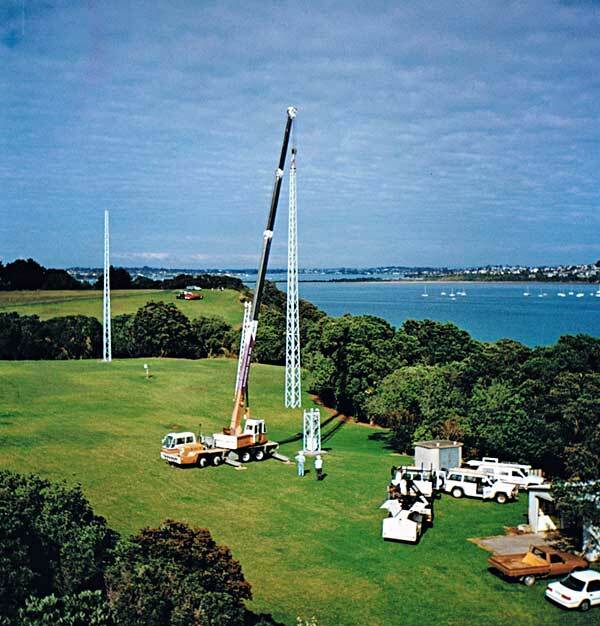 The crane takes the strain as the rigger descends the tower. 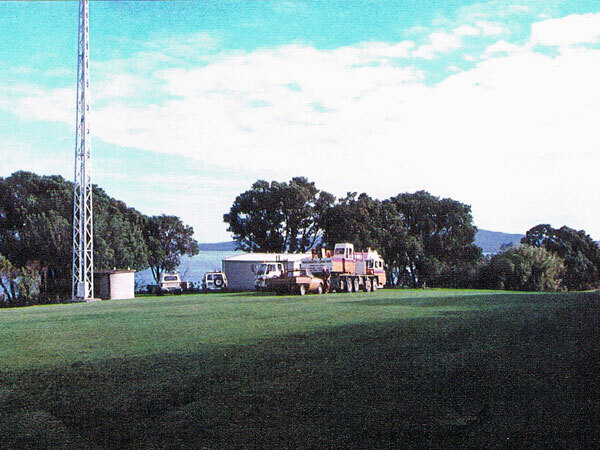 The tower is detached from its lower base. 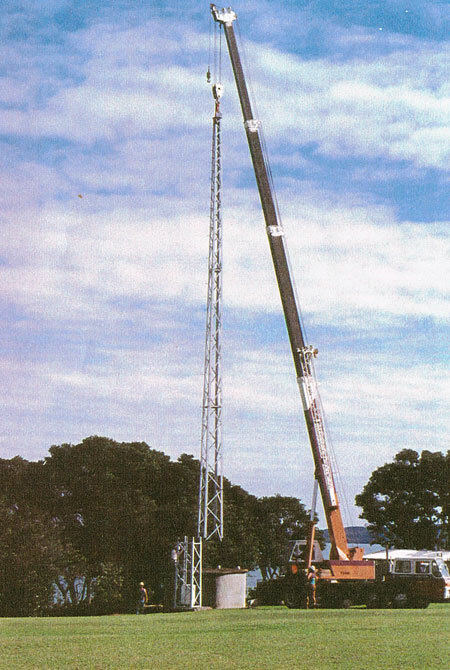 The northwest tower is lowered onto the ground. 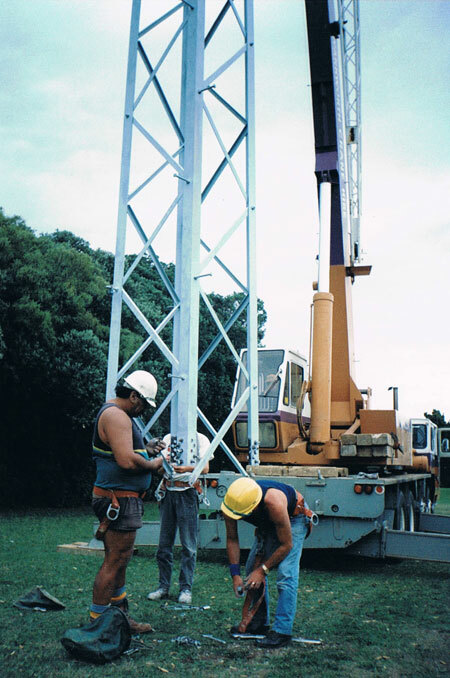 20 April 1994 newspaper story on dismantling the receiving masts at Musick Memorial Radio Station. 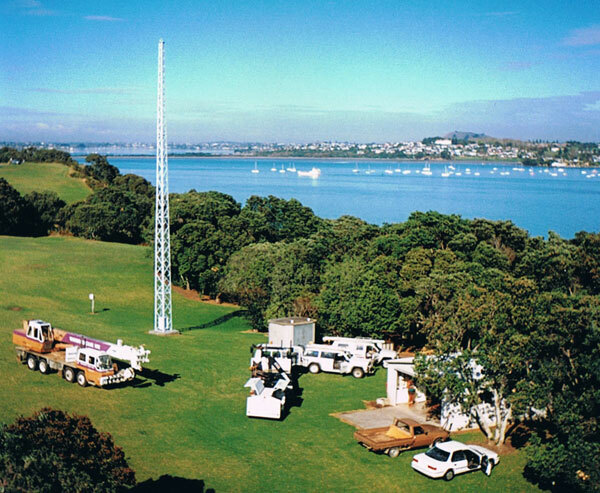 The newspaper story is incorrect, in that the masts were for receiving, and would only have been used for emergency transmission if the Auckland Radio transmitter site in Oliver Road was disabled. 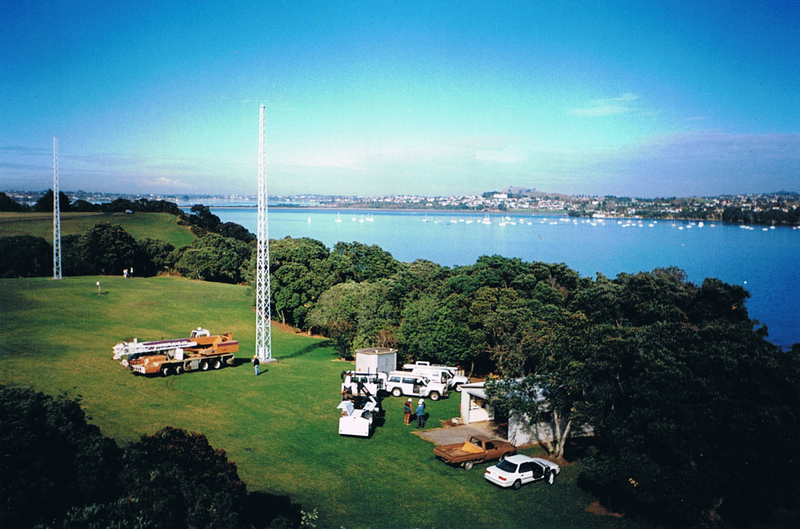 » Photos from the dismantling of the Oliver Rd transmitter site.